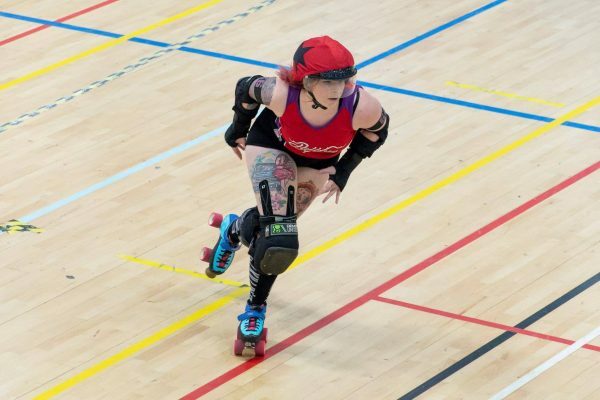 Many of us take up roller derby because it doesn’t feel like exercise. It’s a sport that doesn’t feel like a sport. The moment you strap your skates on and get on track, you don’t get the same feeling you do when you have to force yourself to put on pants and hit the gym. I have been skating for over 20 years and actually enjoying exercise outside of this has taken quite some time! The biggest factor in my love for the gym? The effect it has had on my not only in my skating and playing, but also on my mindset. My time in the A team has seen me play in all positions, jammer, blocker and pivot. I have experienced the joy of sucking the life out of a jammer as part of an incredible tripod and I’ve also felt the high adrenaline rush and resulting tiredness as a jammer. The more our team stepped it up, the more we found ourselves playing higher level teams and working our hardest to break the WFTDA 100 (which we did – woohoo!). My real relationship with cross training started around a year and a half ago when I realised that I not only needed to, but wanted to improve my endurance and strength for both myself and my team. But where the heck did I start? I picked myself up a little pink book, a towel and a water bottle and off to the gym I went. Even though I now have a PT friend, I went in to my gym without a plan. But I also went in without expectations of myself. The road to fitness and change is not a straight line, it is a wobbly unicyle ride across a mountainous fire pit which often results in you laying in your bed questioning whether you should go to the gym that morning and deciding actually no you’re comfy here. And that is 100% fine. Management of your goals and expectations is so important in successful cross training, mostly because it really does affect your enjoyment levels and your overall mood; this is more often than not the reason most people quit early on. So, a key question to ask yourself is why are you there? What do you want from cross training? Set yourself a goal or two! For me, at first my goal was to lose weight and slim down, so I focused on the treadmill and some minimal machine time. But I realised early on that this was not the right thing for me. Not for my body or for my reasons to cross train in the first place. In fact what I really wanted was to be stronger, to have increased stability and core strength, to really up my endurance. I researched and Googled and read more and understood more. I needed to eat more, I needed to lift weights, I needed to get off that damn treadmill and push a sled up and down. This was far more transferable to my sport! The physical load against the sled as you pushed it from one end to the other like a jammer against a really tough wall, the endurance to keep going right to end of the lane (mostly because you didn’t want to give up in case people were watching you) and the mentality to stay positive as you checked how much further you had to go. Then the moment you think actually, I could do that again – and you do! You surprise yourself with every additional set you do, every moment you deadlift a new personal best or hit them for reps, when you realise you actually accidentally lifted a little bit heavier than you planned. You find yourself setting yourself new goals and finding new exercises you haven’t yet tried and implement them into your programme. Before I made friends with PT James and learnt more from him, I originally found a number of people to follow on Instagram; genuine people who worked hard and wanted to share their exercises and focused sessions with the world. I wrote those down, mastered them one by one and eventually I felt more and more comfortable going into the gym. I had a renewed confidence whether I was killing it on leg press or focusing my efforts in controlled Zottman curls (these were new to me once, too!). I won’t lie, I started “feeling the pump” and got on the “gym hype.” Now I’m not only finding my roller derby training easier; game day is much easier! And the biggest difference? My confidence and positive mental attitude. I have posted photos of myself in shorts and a sports bra on Instagram, I have been happy and confident enough to show the world me and my body. It may not be perfect, it is definitely not my end goal BUT it is a work in progress. We spend so much time focusing on ourselves and over evaluating ourselves that we fail to see just how much our hard work and effort has resulted in success. I’ve felt chirpier in myself and overall much lighter on a day to day basis. I have transferred this to my derby, if it didn’t go right then it’s fine. I’m still putting new drills and new ideas into play and continually learning from my teammates. And yes, I have bad training sessions, like I have bad gym sessions or days I don’t even make it out of the house. But this is ok. It’s just the minor delays on my journey and I go into my next session focused on working hard. I still have that little pink book. I write down my plan for every session, I mark off the reps and sets, the weights I’ve used. It is my tracker and it is my successes. It sits in my bag with my towel and water bottle, along with my weightlifting belt and headphones that allow me to get in to my zone. I take pride in my own wins, I have learnt not to compare myself to others because we are all at different points in our journey. 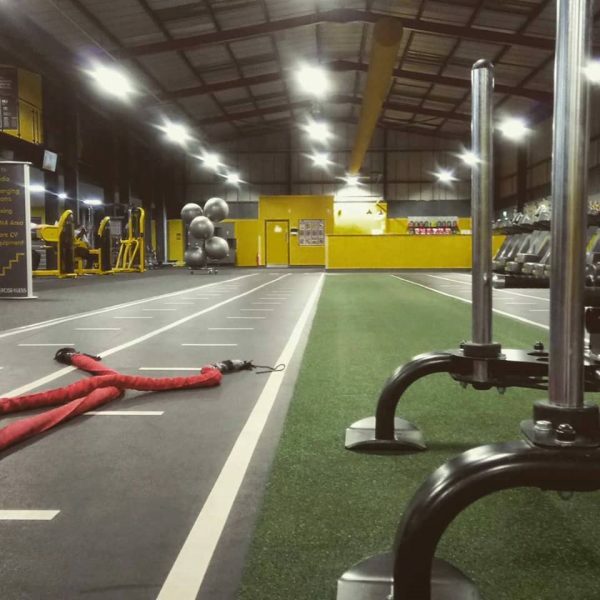 Our destinations aren’t the same, our goals aren’t the same, our exercises are different and we also focus on or alter those to suit our bodies tweaks or injuries. As someone who has undergone a hip operation, a broken ankle and more recently a twisted knee, I’ve become a huge advocate of strengthening and stability exercises even if you have not been injured – it really does reduce your chance of injury in the future! My PT, doctor and physio all stated that had it not been for the amount of time I had spent in the gym then my twisted knee could have been far worse. Oddly enough this actually resulted in me increasing the number of sessions I focused on my upper body. 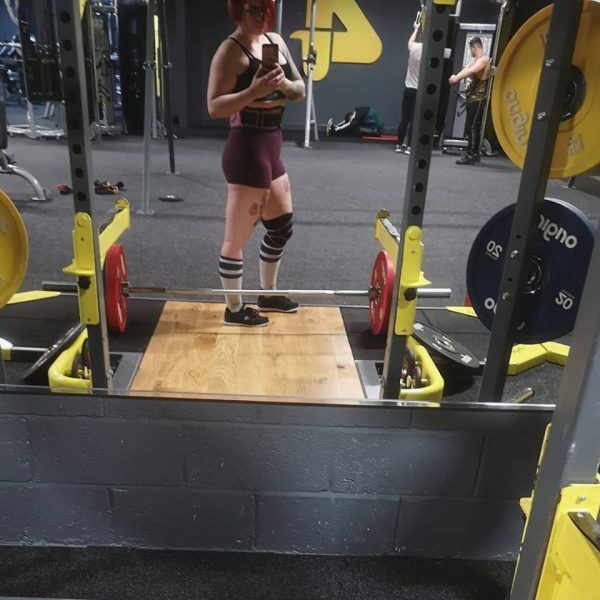 I’m the exception to the rule on skipping leg day, I love leg day and would much rather be squatting than curling – but the stability in my shoulders and my back? It could be much better if I’m being kind to myself! So I set out to do something about it, I have worked my biceps and triceps, I have shoulder pressed, lateral pulled and bent over rowed and, even though at first I hated it, I actually found it getting easier with time. On top of this, my hits have been stronger, my countering of offensive blockers has been stronger, even my bracing has been more supportive to my teammates. My shoulder doesn’t crack any more and my shoulder blades are far more stable and able to take the beating from roller derby. If I could give you one piece of advice, it would be this: Be brave and take the plunge. I know the gym can be a very intimidating place. I have abandoned gym memberships before because of all the stereotypical “gym bros” who acted like women had no place in the weights area and so I can’t imagine how anxious someone may be with no sports background or idea on exercise within a gym setting. Luckily there are lovely people at gyms who are willing to help if you ask, but there are also a number of clubs, classes and groups available around the country such as Crossfit, Powerlifting, even something a little less intense such as Zumba or Yoga to get you started! Even 30 day challenges as part of your team is a great way to get started. All it takes is the confidence to take that step through the doorway. You are a strong individual who spends your time playing a full contact sport. Trust me, you have got this! Sometimes things don’t feel quite right, you may not walk straight into something you enjoy, but give many things a chance and find what feels good for you. You may find you come out with a new love and a new group of friends. The biggest thing I hope you take away when you are on your journey is that is it ok to feel like you have failed, even though you haven’t really, you have succeeded purely because you have decided to actually get out there and give it a shot. Look back at how far you have come. See the difference in how your training outside of roller derby has affected not just your skating, but also you as a person. That smile right now? That is just a small part of what cross training can do. Higher level of endurance in training and gameplay. Reduced chances of injury in both exercise and every day. Focus on stability, core strength and your bodies personal little niggles. Your end goal isn’t your final destination, it may change or you may travel further! New friends – even though I don’t know all my gym friends names, we still nod across the gym to each other in solidarity or introduce each other to new exercises and you feel good that you helped someone else overcome their fear of the sled or the dreaded deadlift!